We have had a very busy start to 2012, we have been working to have Poedua ready for display in March and preparing a number of paintings for the upcoming touring exhibition Angels and Aristocrats. After the painting was re-stretched following the structural treatment, the old restorations including overpaint and old fills were removed. The old fills and retouching were poorly matched to the original paint layer, in colour and texture, and in areas were broader than the damages, extending over areas of original paint. A detail photograph of the old restorations over an old damage at the proper right inside elbow. Photograph taken by Melanie Carlisle, © Te Papa. After the knowledge gained during the varnish removal and a number of further tests we determined that the only safe method for removing the old restorations was mechanically. 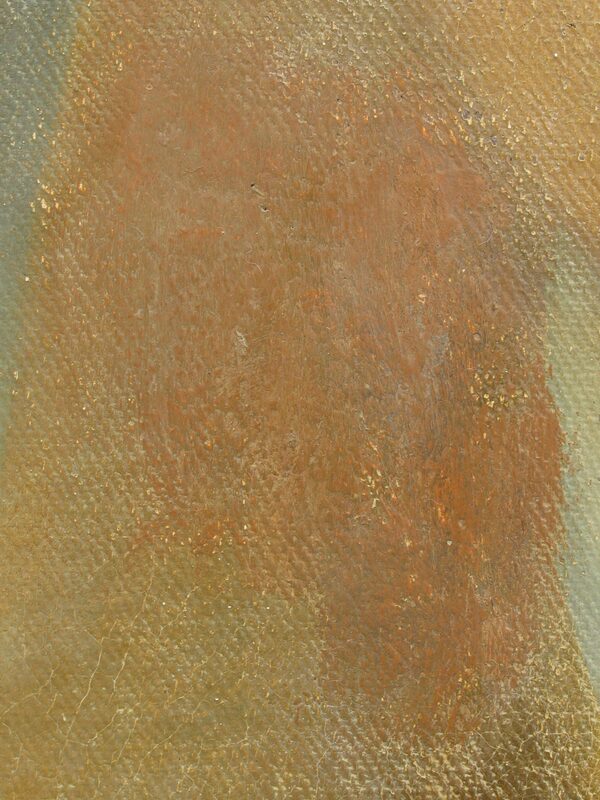 This involves very carefully scratching and chipping the additions away from the original layers. This is done with small scalpels and dental tools under the stereo microscope. It is very fine work and requires and strong and steady hand! A detail of the same area as above after the old overpaint and fill material had been removed. The damage and loss to the original paint layer is revealed. Photograph taken by Melanie Carlisle, © Te Papa. As you can imagine this is quite a time consuming process – each movement removing a barely perceptible amount, a square centimetre can take an hour or more. Once all the old retouchings have been removed we can see the painting in its barest state – all that is left is the artists work and with the damages and deterioration exposed. 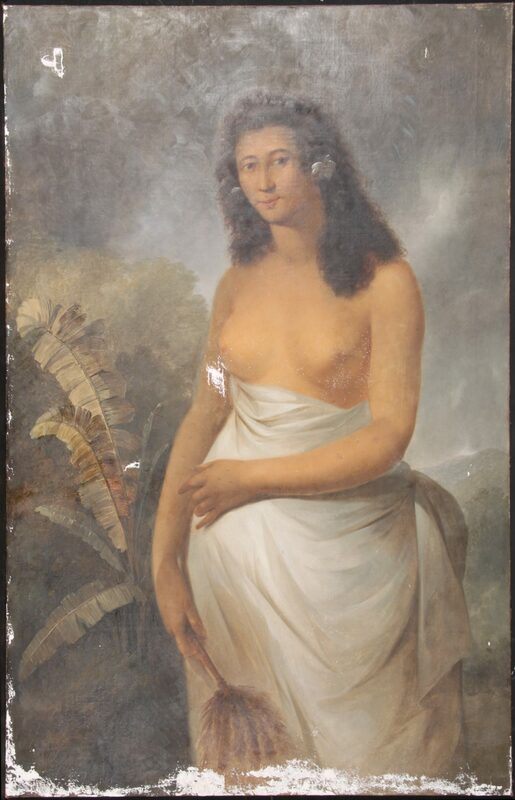 We record this with photographs before the next stage of restoration begins which involves adding to the painting to ensure the work reads according to the artist’s intent. Overall image showing the complete clean - all surface dirt, varnish and old restorations have been removed. The damages and deterioration in the paint layer are exposed. Photograph taken by Melanie Carlisle, © Te Papa. 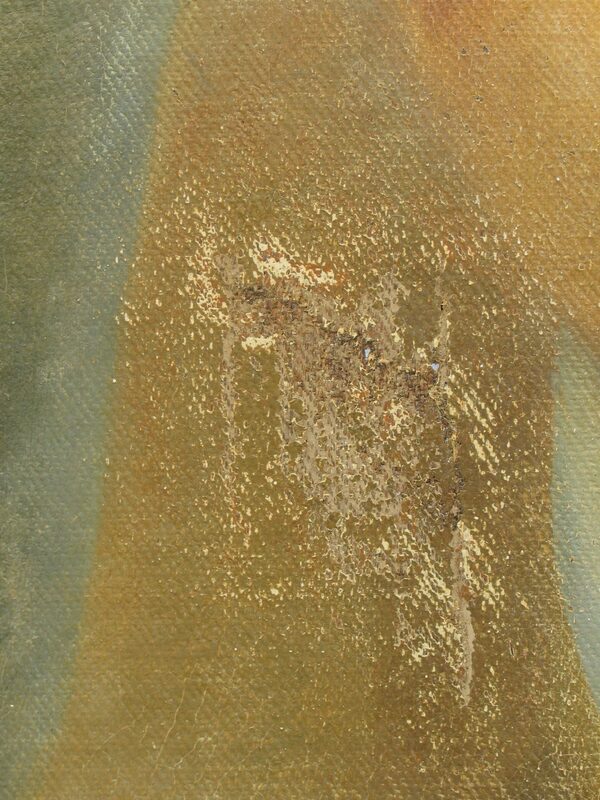 The first stage of restoration is the filling of the losses in the paint layer. 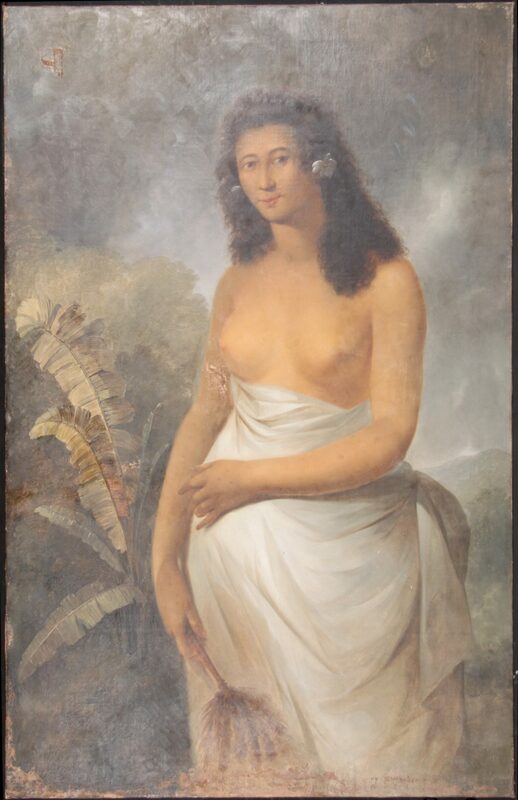 Many were revealed after the removal of the old restorations and the tiny pin hole loses caused by water damage in the lower centre of the painting were also filled. We use commercial chalk based filler which has been tested and proven to have favourable ageing qualities, remaining reversible with time. Overall image after the new fills have been added to the losses in the paint layer. Photograph taken by Melanie Carlisle, © Te Papa. 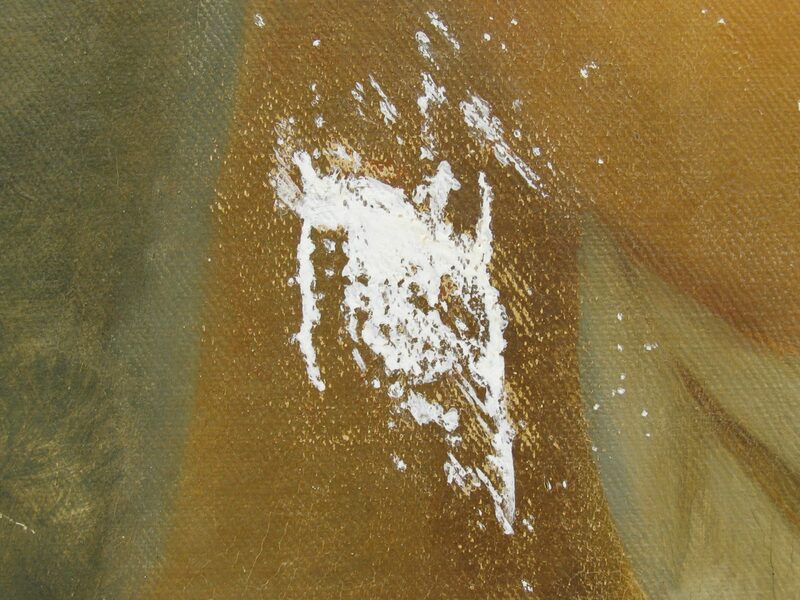 It is very important to emulate the paint layer texture in the fills and in the cause of this painting the texture is predominately the twill canvas texture showing through the very thin paint layer. Under raking light we use small spatulas, scalpels and dental tools to create the required texture. Detail of the same area as above after the new fill material has been added. Photograph taken by Melanie Carlisle, © Te Papa. The painting is now ready for the first layer of varnish! Come and hear about the conservation of the painting when Katherine and I present our work on Monday 5 March at Te Papa. Find out more here. What a fantastic job – beautifully done!